The D5100 from Nikon is a lighter and improved version of its predecessor, the Nikon D5000. It falls into the higher-end of entry-level DSLRs, alongside the Canon Rebel T3i. 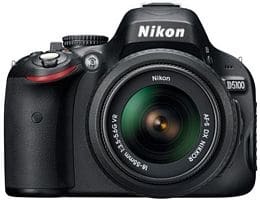 The D5100 combines the best specifications from the Nikon D3100 and D7000 models that are placed below and above it in the series, respectively. For example, it uses the same 16.2 MegaPixel CMOS sensor as the D7000, but the metering of the D3100. The D5100 has an AF-S 18-55mm VR interchangeable lens. It is built for continuous shooting at a burst speed of 4 frames per second, while background processing buffers the RAW or JPEG image files to memory. The light sensitivity ranges from ISO100 to ISO 6400. This is followed by Hi2 settings to take the range up to ISO 25,600. Further, ISO 102,400 is possible with the Night Vision mode, giving high-quality monochromatic images and video. The EXPEED-2 image processing engine with a 14-bit analog-to-digital conversion is present in the D5100, as well as the D3100 and D7000. A wide array of in-camera editing features have been added for retouching images. Some of these are red eye correction, filter effects, cropping, resizing and a 420-pixel 3D Color Matrix Meter metering system for selective and instantaneous color effects. Nikon has introduced a two-shot HDR (High Dynamic Range) imaging in the D5100 camera. This means that a single shutter press captures one underexposed and a second overexposed shot, both by the same amount. These two are combined within the camera unit, with the resultant exposure having a wider dynamic range than the normal single shot. The HDR functionality smoothens out the shots, but it is only useful for shooting static subjects. The LCD display consists of 921,000 dots. Unlike the bottom-mounted screen of the D5000, here the screen is mounted on one side of the camera and swivels open horizontally, from where it can be tilted at various angles to make viewing easier. 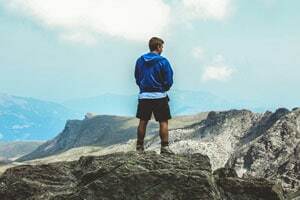 This is even possible when the camera is attached to a tripod; it is a unique Nikon camera series enhancing the versatility to the photographer. The penta-mirror viewfinder has a 17.9mm eye-point and offers 95% coverage and a sharp and bright image. The AF points are indicated by red LEDs. 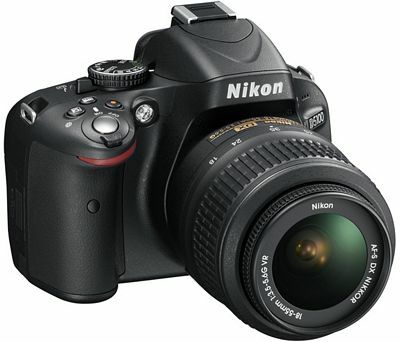 The Nikon D5100 is capable of recording 1080p high-definition video at speeds of 24, 25 and 30 fps. Continuous auto-focus is possible in video mode and the half-depressed shutter button allows manual focusing while recording video. It has very little noise in the image and video output, because of a quiet shutter release. One can attach the optional ME-1 microphone to eliminate this slight whirring noise produced by focusing. Moreover, the application of filters and some of the other effects to video mode is introduced with the D5100 model. The camera can be connected to HDMI and controlled by a TV remote; the image and audio quality during playback on the HDMI TV is great to watch. Packaged in a sleek black body, the Nikon D5100 has a professional look. Its top plate is a little expanded, which offers better grip in the right hand for camera steadiness when the LCD is opened out to the left side. The control buttons are distributed all over the body of the camera, making it easy to reach with the thumb and index finger. The top plate has a dial for choosing the mode. The information edit button at the back of the camera shows the menu on-screen, so that the user can adjust the desired ISO, focus, metering modes and image quality settings through 4-way control buttons. The video record button is conveniently placed right next to the shutter, but not such that it will be hit unintentionally. This camera has the same advanced sensor as the higher range D7000 model, but at a lower price. Its high shooting speed of 4fps and smoothness of the camera’s action is not affected by the large amount of processing and auto-focusing. Some of its biggest advantages are the side-mounted LCD screen that can capture the image odd angles, provides image view while shooting self-portraits and can be folded inwards for protection during storage. The control dial is graphically represented on the screen, so the user can easily see the options as the dial at the top of the camera is rotated through 360ÃÂ°. In fact, all the on-screen information display is very user-friendly. Image color and sharpness are definite plus points, as are its low-light performance and the results of its metering, white balance and noise control. The images on the D5100’s LCD are not very visible in bright sunlight. When using the camera to shoot in viewfinder mode, the LCD display is not automatically switched off by an eye sensor at the viewfinder. Instead, the shutter that is half-depressed for focusing turns off the LCD. This can be a problem if the user wants to focus on the subject by looking at the main screen and then use the viewfinder to shoot. Also, the HDR function is not easy to find on the camera; it would be expected in the Effects menus, but is a toggle on the main menu instead. This camera cannot save a user’s custom settings and lacks a built-in wireless flash control.